Studying for the MCAT and not sure how you're going to raise your MCAT CARS score? Any premed who's worth their salt will tell you the Critical Analysis and Reading Section aka CARS is straight up savage. It's unlike any other portion of the MCAT. you're now expected to become an English Literature major??? But you're in luck because although you're taking the MCAT to get into medical school the MCAT CARS does not have any Natural Science passages. This doesn't make sense to me but it's what you have to contend with in order to become a doctor. Legend has it there was a group of premed students who were very frustrated because they couldn't improve their MCAT Verbal Reasoning score. They were paying thousands of dollars to a commercial MCAT prep company and wanted answers on how to boost their score. The tutors kept reporting back to their bosses the students are struggling with Verbal Reasoning on the MCAT what advice do you have for them? The way to improve your Critical Analysis and Reading MCAT score was to read everything you could get your hands on. This mean reading the local newspaper, picking up magazines and reading and dare I say going to the library and checking out the Classics. They figured if the students just saw more diverse topics it would make them better students on their MCAT exam. I'm all about efficiency and studying smart and not hard. So what's a student to do if they actually want to improve their MCAT CARS score? I was up against a wall. As a Political Science major I thought the Verbal Reasoning section would be the easiest for me on the MCAT. Instead I found myself angry that my score just would not budge. It seemed the more effort I put into MCAT CARS the worse I was doing. With a few weeks until test day something had to change and fast. I spoke with my twin brother who was a lawyer and vented to him about the Verbal Reasoning struggles. He said, "Man, let me take a look at those passages." I handed over the workbook and he chuckled as he took a look at the reading passages and got to work answering the questions. He said, "This is a piece of cake, it's all we ever do in law school." After scoring his CARS passage I knew he wasn't lying because he totally nailed it. This was crazy I was prepping forever for this exam and here comes my brother strolling in and effortlessly getting everything correct. He then broke everything down for me. He's like every author has an argument or case that they need to convey to the reader. They may have some biases but it's a pretty set formula in how you present facts to the opposition. Once you know the argument that is being presented everything easily flows from there and it becomes a no-brainer in answering the questions. I told him what the commercial MCAT prep companies said about reading all these diverse reading materials. My twin bro the lawyer goes that's a complete waste of time. If you want to get ahead on your CARS section of the MCAT then you need to get a copy of the Law School Admission Test (LSAT) and do their questions because it's the exact same stuff you're being tested on with your MCAT exam. Any Law School Admission Test (LSAT) book is your best resource to improve your MCAT CARS score. Ladies and gents this is how you are going to rock your CARS! Do not wait, do not hesitate, bypass jail and get yourself an LSAT book immediately. Don't waste time doing random reading. 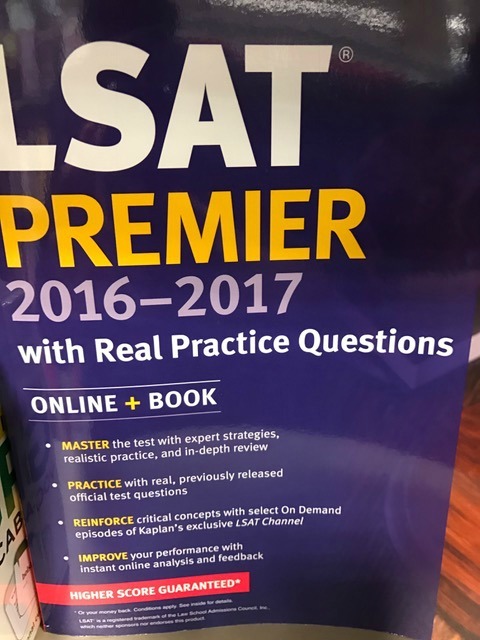 Plus with an LSAT book you have the answer key behind the passages and you get insight into what's actually being tested along with how to approach each question. Definitely not something you can get from randomly reading books off the shelves. You've now been empowered to achieve a top CARS score and there is simply no excuse. How to Crush Your MCAT! If you're serious about getting a top MCAT score then you'll want to check out my MCAT Mastery Companion Course I created to help you earn a top MCAT score so you can get into med school and become a doctor! You're premed and you know everything is riding on your MCAT so give yourself every advantage possible with MCAT Mastery.